Fremont Adventure Recreation and the Upper Arkansas Water Conservancy District will host a free screening of “The Arkansas River: Leadville to Lamar,” at 6 p.m. June 1 at Canon City High School, 1313 College Ave. The film will be followed by a panel discussion with Tim Payne, Fremont County Commissioner; Mannie Colon of Colon Orchards; Blake Osborne of the CSU – Water Institute; and moderators Chelsey Nutter of the Upper Arkansas Water Conservancy District and Ashlee Sack of Fremont Adventure Recreation. Cottonwood Creek photo credit Zillow.com. The Upper Arkansas Water Conservancy District board of directors addressed two Water Court cases during the May board meeting, an ongoing case to change the use of irrigation water rights in Coaldale and a new filing by the town of Buena Vista for a plan of augmentation for McPhelemy Pond. The Coaldale case, 2016CW3055, involves Hayden Creek water rights associated with the CB Ranch, which was purchased by Security Water and Sanitation District. The Upper Ark district has filed a statement of opposition in the case, and Security has filed its preliminary engineering report, proposed decree, proposed water accounting and a revegetation proposal. In preparation for the district’s response to the filings, Chris Manera, district engineer, has begun a consumptive use analysis. Manera reported that he is examining return flows from historic irrigation that provided water for approximately 150 acres of alfalfa crops. An accurate determination of these return flows will be a key factor in this case since Security is required to replace return flows to avoid injury to other water rights. District Manager Terry Scanga said the San Isabel Land Trust would like to work with Security so that some the historically irrigated land can continue to be used for agriculture, which would prevent the types of problems experienced by the dry-up of other ranches in the Upper Arkansas Basin. He reported on a meeting with Security and the land trust to discuss the possibility of leasing some of the water for that purpose and said both parties are interested in continuing discussions. Board members voted to allow district staff to facilitate those discussions. Kendall Burgemeister, attorney for the district, reported that Security has lost the use of well-water sources due to contamination in the aquifer, making the Hayden Creek water rights more critical to the city’s water supply. Scanga said another possibility would be for the land trust to acquire other sources of water to keep some of the land irrigated. In Water Court filing 17CW3022, the town of Buena Vista’s proposed augmentation plan to replace water from evaporative water losses from McPhelemy Pond, would involve exchanges on Cottonwood Creek and use of Cottonwood Reservoir water for augmentation. 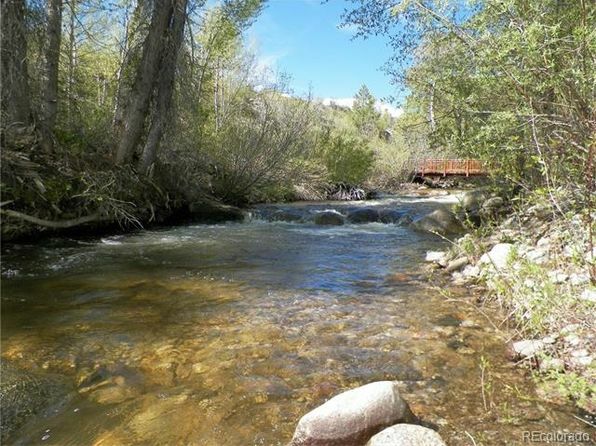 Since the Upper Ark district owns Cottonwood Creek water rights and operates Cottonwood Reservoir, board members voted to get into the case to ensure that its water rights and operations are not negatively affected. According to Buena Vista’s Water Court filing, the amount of water to be augmented is 1.37 acre-feet annually. In Case 96CW17, the town has a conditional decree for an appropriative right of exchange to allow the town’s purchased Fryingpan-Arkansas Project water to be stored in Cottonwood Reservoir. As part of its recent filing, Buena Vista also seeks to include augmentation for McPhelemy Pond as an additional use of that water. • Welcomed new board member Dennis Giese, who was appointed to fill the Division 3 seat, corresponding to Chaffee County School District R-31, which was vacated when Frank McMurry resigned. • Received a detailed presentation from Manera about the efficiency of the DeWeese Irrigation System and potential improvements to increase water storage potential and improve the exchange potential on Grape Creek below DeWeese Reservoir. 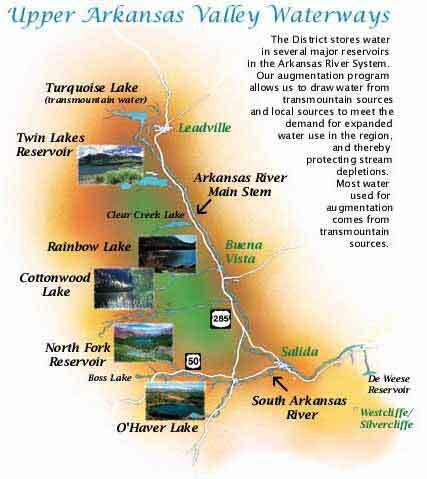 • Heard a report from Scanga about meetings of the Arkansas Basin Roundtable and the Colorado Inter-Basin Compact Committee, including the next phase of the Statewide Water Supply Initiative, which will examine how existing projects can meet future water demands. • Approved an increase in the district education budget from $10,000 to $25,000 to fund a new website and an educational video. • Heard a report from the Resume Review Committee, responsible for reviewing Division 2 Water Court filings. • Learned that a “mutually beneficial” agreement with Poncha Springs was reached concerning the Friend Ranch water. • Learned that Chaffee County officials entered into an intergovernmental agreement with the town of Buena Vista for source water protection. • Received a legislative update from consultant Ken Baker, who reviewed legislation taken up in the 2017 legislative session. The Upper Arkansas Water Conservancy District board of directors meeting Thursday included recognition of two longtime board members, Frank McMurry and Jim McCormick, who both resigned from their positions in recent months. McMurry, a local rancher and former Chaffee County commissioner, resigned as a conservancy district director after 34 years representing Division 3 (Chaffee County School District R-31). McCormick, a retired home builder and former Salida city councilman, resigned from his position as treasurer in 2016 after serving in that capacity since the founding of the Upper Ark district in 1979. Prior to his resignation as treasurer, McCormick was the only remaining member of the original district board. In keeping with tradition, the Upper Ark district commissioned a portrait of McCormick to grace the walls of the district conference room alongside portraits of the other original members. McCormick’s portrait, painted by Salida artist Carl Ortman, was unveiled at Thursday’s meeting. Here’s a shot of O’Haver Lake from Marshall Pass Road, which rides above it. Photo credit PonchaSprings.org. In the 2 years since a change of in-stream flow (ISF) policies threatened the viability of O’Haver Lake, discussions between officials with the Upper Arkansas Water Conservancy District and the Colorado Water Conservation Board have failed to yield a long-term solution. At the recent Upper Ark board meeting, attorney Kendall Burgemeister said he has been “trying to work with the CWCB on the Grays Creek-O’Haver ISF issue” and expressed frustration with the lack of progress. The conservancy district stores water in O’Haver Lake by diverting that water from nearby Grays Creek. Diverting water requires an exchange – a release of water from another source in exchange for diverting water from the creek. 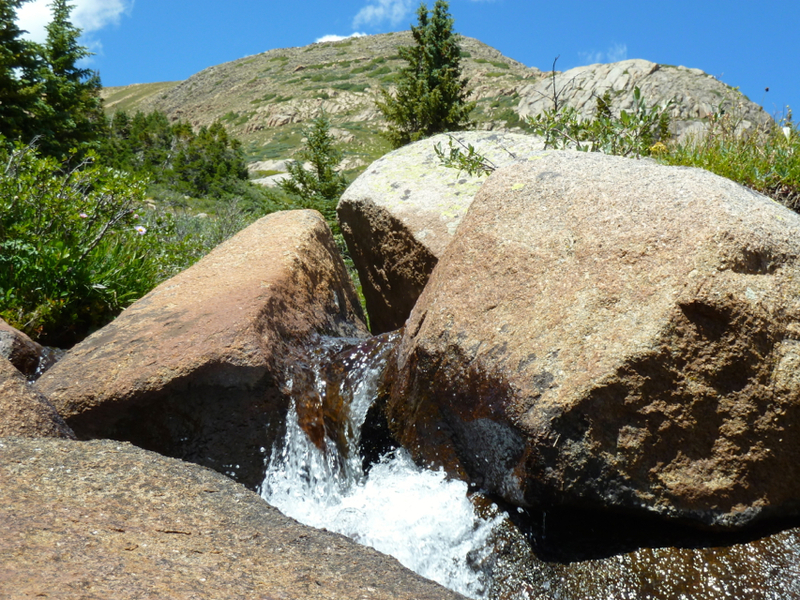 By law, the CWCB holds all ISF water rights in Colorado, and as previously reported in The Mountain Mail (Dec. 16, 2014; Feb. 19, 2015), the agency began placing calls on its ISF rights a little more than 2 years ago. The CWCB’s ISF right for Grays Creek is 4 cubic feet per second, but Upper Ark staff have documented average flows of 1.5-1.9 cfs. Given the disparity, the CWCB’s ISF call on Grays Creek prevents the Upper Ark district from exchanging water upstream to O’Haver Lake. Terry Scanga, general manager of the Upper Ark district, previously said the old policy allowed exchanges as long as there were no calling water rights between O’Haver Lake and the point of release for the exchange water. Since this practice did not injure any water rights, Scanga said he believes the old policy was correct, based on Colorado Revised Statute 37-92-102 (3), which established ISFs as a beneficial use of water in 1973. Since O’Haver Lake has been used to store water since 1949, Scanga said, the CWCB’s ISF water right, established in 1977, should be subordinate to the conservancy district’s ability to exchange water into the lake. But at the December board meeting, Burgemeister reported that CWCB staff have so far failed to formally acknowledge the pre-existing use of O’Haver for storing irrigation water due to a lack of data. During discussion of Burgemeister’s report, Ben Lara, recreation program manager with the U.S. Forest Service Salida Ranger District, commented that the environmental impact statement currently being drafted will “spell out the effects of draining the reservoir,” which is on USFS land. He also indicated that feedback for the environmental impact statement from Colorado Parks and Wildlife officials acknowledges the importance of the O’Haver Lake fishery. Policky’s statement echoed Scanga’s recommendation that the Upper Ark board call for a meeting of all relevant agencies – CWCB, CPW, USFS and Upper Ark district – to attempt to negotiate a long-term agreement acceptable to all parties. Board members approved Scanga’s recommendation but acknowledged that the district could be compelled to drain the reservoir if the situation is not resolved. The Upper Arkansas Water Conservancy District board of directors voted at its recent meeting to file an objection to the Security Water District’s court application for a change of water rights on Hayden Creek in Coaldale (Division 2, case 2016CW3055). In discussing whether or not to get involved in the case, Upper Ark directors mentioned unresolved issues with Hill Ranch near Nathrop after the Pueblo West Metropolitan District purchased the ranch, changed the water right and dried up the land. Ensuring that the amount of water claimed by Security is not excessive. Ensuring that Security administers the amount and timing of return flows so that other water rights are not injured by the change of use. Ensuring that the dried-up ranch land is properly revegetated. Security acquired the 1894 agricultural water rights when it purchased a Coaldale ranch that, according to the filing, historically used the water to irrigate 195 acres. Security seeks to change the Hayden Creek water rights from an agricultural use in Coaldale to a municipal use in Security, allowing the water to flow into Pueblo Reservoir before diverting the proposed 236 acre-feet per year through the Fountain Valley Conduit. In the filing Security commits to constructing a Coaldale augmentation station to measure and administer the Hayden Creek water rights. The filing also indicates Security “may construct a groundwater recharge facility” that “may be used for recharge to the aquifer and later delivery of accretion credits back to the Arkansas River” (i.e., return flows). This would help prevent injury to other water rights holders because the return flows would be delivered to the river in the same location as the historical return flows created by irrigating the ranch. 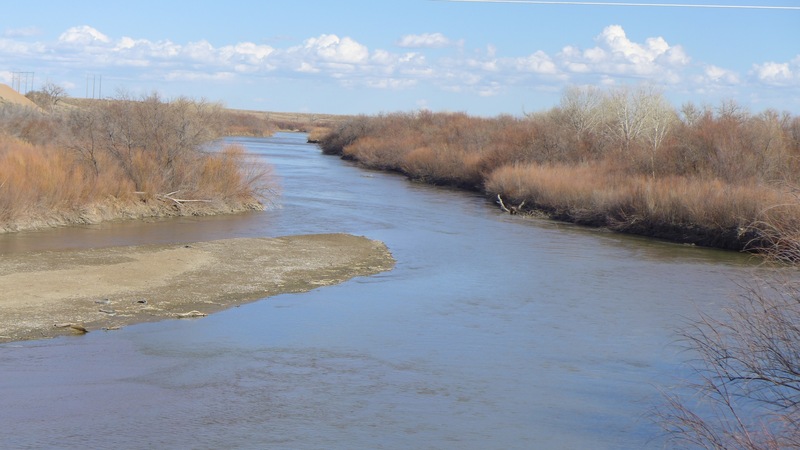 But the filing also indicates that Security may “replace return flow obligations to the Arkansas River” by means of “releases from Pueblo Reservoir,” which could injure other water rights between Coaldale and Pueblo Reservoir. Since Security owns the Hayden Creek water rights, the Upper Ark district’s filing won’t prevent the change of use, but as an objector, the conservancy district will receive future filings in the case and will have the opportunity to negotiate stipulations to address concerns. Upper Arkansas Water Conservancy District directors reviewed the preliminary 2017 budget during the monthly board meeting [September 8] in Salida. District General Manager Terry Scanga presented the draft budget, noting the addition of a new water education fund. He said the actual budget would be presented at the October board meeting and asked board members to review and comment on the preliminary budget prior to that meeting. In a related discussion, Scanga relayed information presented at the recent Colorado Water Congress Summer Conference regarding water project funding, 69 percent of which comes from state severance taxes. Scanga said the combined effect of lower oil and gas prices and a Colorado Supreme Court ruling in favor of British Petroleum will eliminate funding for the Colorado Water Conservation Board’s Water Supply Reserve Account for the upcoming fiscal year. The court ruled in May that the Colorado Department of Revenue had overcharged BP, and the extra severance taxes collected would have to be refunded, setting the stage for other oil and gas companies to seek refunds. Legislators responded by passing Senate Bill 16-218, which diverts severance tax revenues for the upcoming year to pay the court-ordered refunds. In addition to the WSRA receiving no funding for the upcoming fiscal year, Scanga said the account is slated to be funded at only 50 percent for fiscal year 2017-18. The conservancy district has used WSRA grants to help fund a number of water projects and studies in the Upper Arkansas Valley. Project Coordinator Chelsey Nutter elaborated on the new water education fund in the district’s 2017 budget while reporting on the inaugural Salida Water Festival. 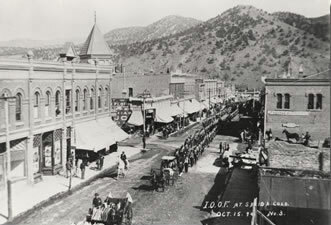 After several directors provided favorable feedback on the festival, Nutter announced the Upper Ark district would be taking responsibility for the festival moving forward, in part due to the aforementioned severance tax funding issues. Nutter said the new education fund in the budget will be used in part to provide continuing funding for the festival, and district staff are developing an education action plan. Nutter reported the Arkansas Basin Roundtable Public Education, Participation and Outreach working group is beginning work on the 2017 Arkansas River Basin Water Forum, which will take place in El Paso County. Nutter also reported progress on the Lake Ranch Multi-Use Project and said a tour of both multi-use project sites is planned for spring.